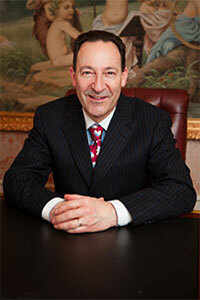 NYC Plastic Surgeon Robert H. Gotkin, M.D., F.A.C.S. Certified by the American Board of Plastic Surgery, the only board recognized by the American Board of Medical Specialties to certify plastic surgeons, Dr. Robert H. Gotkin is a premier New York City cosmetic surgeon renowned for his expertise in liposuction, body contouring and aesthetic facial surgery. In addition, he is an expert in the use of lasers, filling agents and Botox® or similar injectable neuromodulators for non-surgical facial rejuvenation. Dr. Gotkin is a pioneer in the use of the FDA-approved Smartlipo™ laser – for gentle, laser-assisted liposculpting – and Cellulaze, the first minimally invasive cellulite treatment that provides visible, long-lasting improvement in the appearance of cellulite. Dr. Gotkin has found that Smartlipo can be used on most areas of the body to gently “Get Rid of FRED” – Fat Resistant to Exercise and Diet – and to smooth and tighten the overlying skin. One of his signature procedures, the Ipanema Tummy Tuck®, uses Smartlipo to help make the tummy tuck gentler and less invasive. At the same time he can sculpt a flatter, tighter abdomen with “six pack” muscle definition. Dr. Gotkin is a Fellow of the American College of Surgeons and an active member of the American Society for Aesthetic Plastic Surgery, the American Society of Plastic Surgeons, the International Society of Aesthetic Plastic Surgery and the International Society of Clinical Plastic Surgeons. He is also a Fellow of the American Society for Laser Medicine and Surgery, and serves on the Medical Council of The Skin Cancer Foundation. Sought out by celebrities from around the corner, across the country and around the world, Dr. Gotkin has been named “a Top Doctor in the New York Metropolitan Area” every year since 1998 in the Guide to the Best Doctors in New York (Castle Connolly) and has been named one of America’s Top Plastic Surgeons. He has also received the Humanitarian Award from CancerCare. 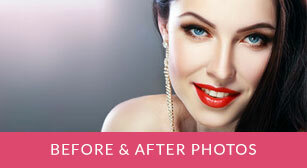 He is an Attending Plastic Surgeon affiliated with numerous teaching hospitals in Manhattan and on Long Island. Dr. Gotkin is also the director of a state-of-the-art ambulatory surgery center at Cosmetique, which is accredited by the American Association for the Accreditation of Ambulatory Surgery Facilities, Inc. (AAAASF).